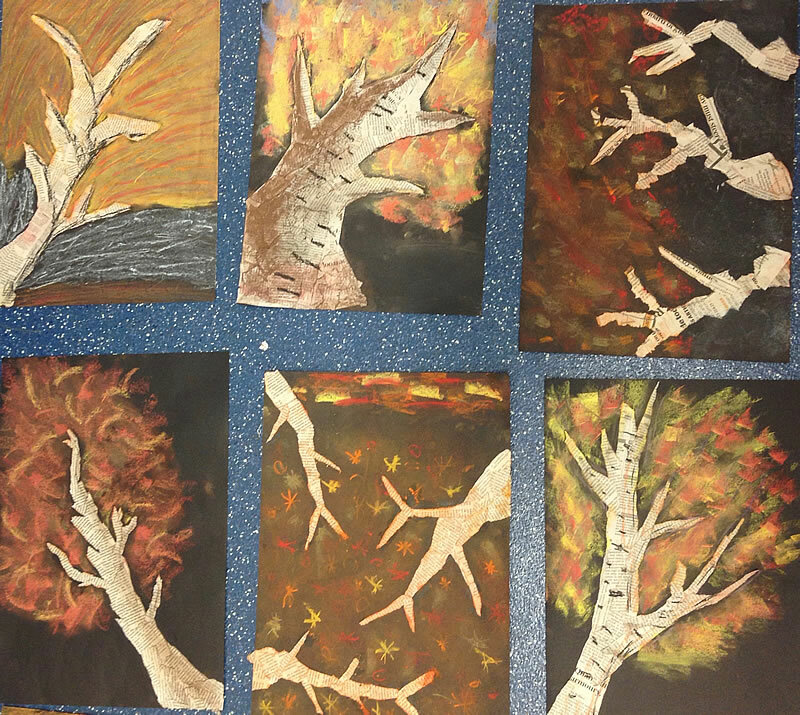 An exploratory workshop looking at autumn colours. 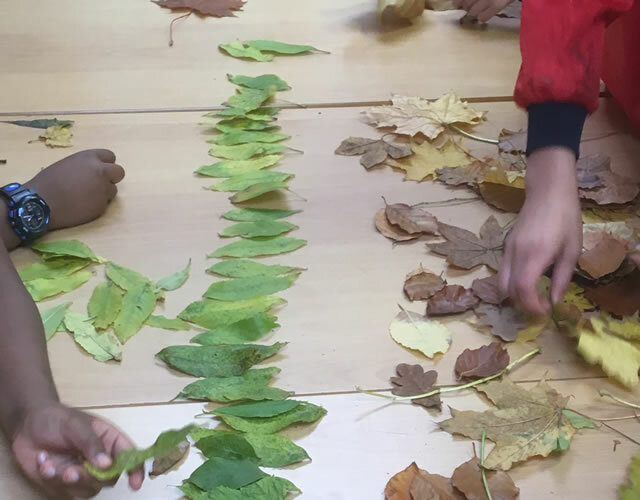 First task : work as a group to sort the freshly picked leaves into a spectrum of colours. 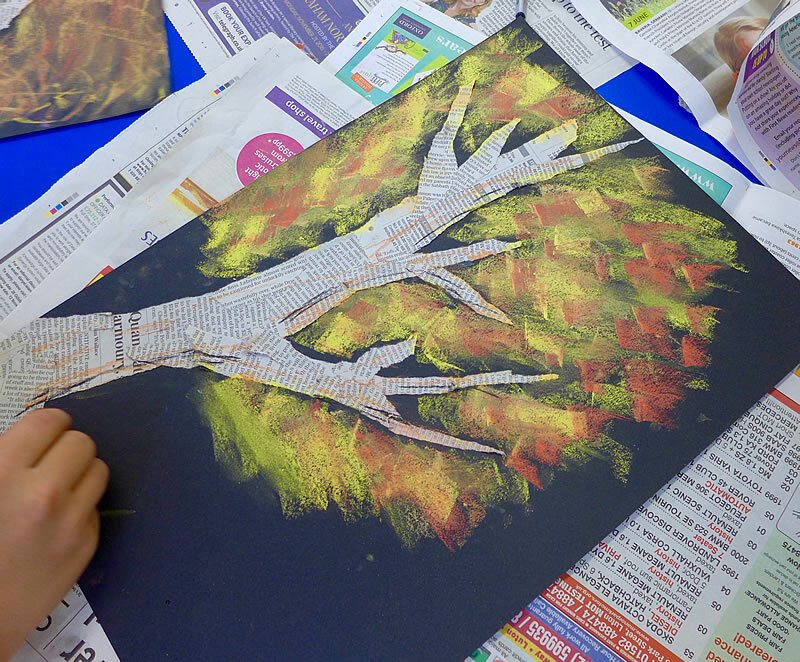 Second task : detailed pastel drawing of a leaf on black paper. 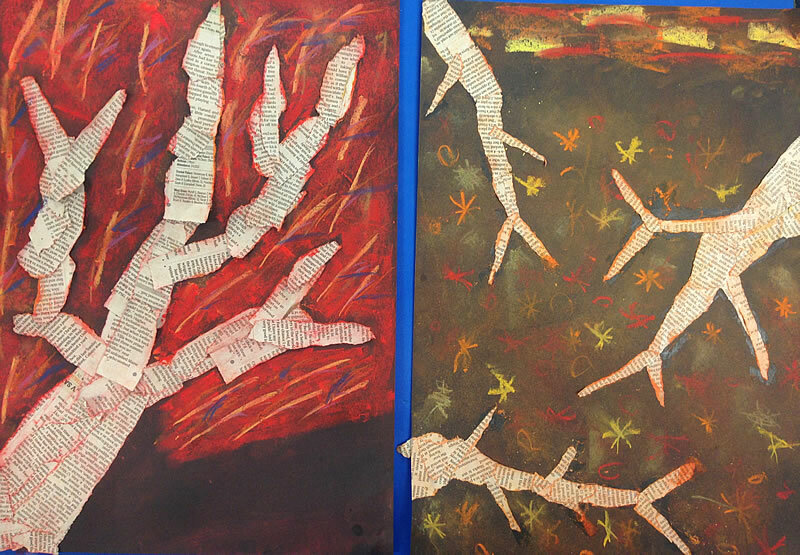 Third task: recreate the silhouette of a silver birch tree using collaged strips of newspaper. 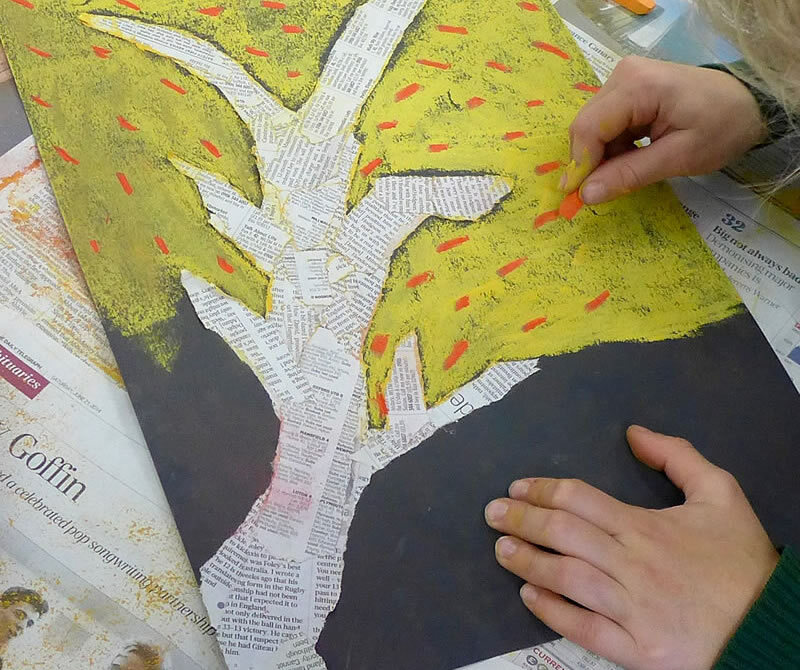 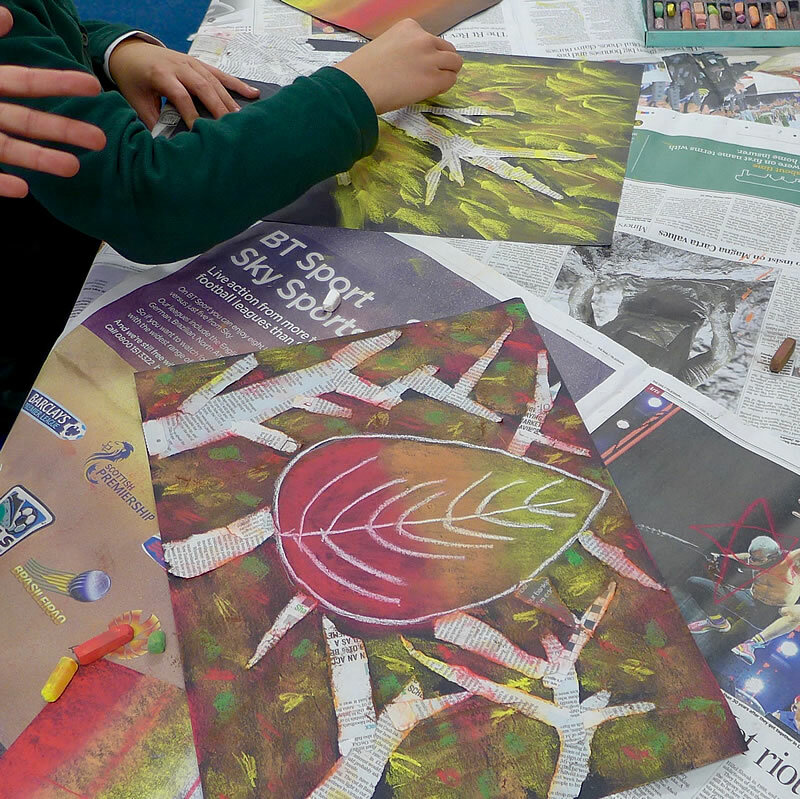 Fourth task: create a colourful 'tree scape' combining the previously learned techniques of collage and pastel drawing.